THEDA SKOCPOL (2015-2021)—is the Victor S. Thomas Professor of Government and Sociology, and American Politics at Harvard University where she previously served as Dean of the Graduate School of Arts and Sciences (2005-2007) and Director of the Center of the Center for American Political Studies (2000-2006). She is considered to be one of the most prolific, widely respected, and highly influential scholars in social sciences today by making key contributions to the study of comparative American politics particularly in respect to health care, civic engagement and inequality. Her scholarship in sociology has been historically informed and very influential in studies of the history of states, social welfare, and gender. She is also currently Director of the Scholars Strategy Network, which she co-founded in 2009. Professor Skocpol’s prodigious scholastic achievement and academic stature in three disciplines, sociology, political science, and history is without precedent. The breadth of her innovative thinking as a public intellectual is demonstrated through her authorship of 12 books that cover a wide range of topics including: States and Social Revolutions: A Comparative Analysis of France, Russia and China (1979), which has been published in nine different languages; The Political Origins of Social Policy in the United States (1992); Social Policy in the United States (1995); Protecting Soldiers and Mothers: Social Policy in the United States (1995); Boomerang: Clinton’s Health Security Effort and the Turn Against Government in US Politics (1996); Diminished Democracy: From Membership to Management in American Civic Life (2003); What a Mighty Power We Can Be: African American Fraternal Groups and The Struggle for Racial Equality (2006— with Ariane Liazos and Marshall Ganz); Health Care Reform and American Politics (2010—with Jacob Lawrence); The Tea Party and the Remaking of Republican Conservatism (2012—with Vanessa Williamson). She is a frequent contributor to outlets for a broader audience including The New York Times, Boston Globe, Slate, Democracy, and many other publications. Professor Skocpol is the recipient of numerous prizes and honors including the Johan Skytte Prize for Political Science (2007), Guggenheim Fellowships and the. She has also been elected to membership in all three major U.S. interdisciplinary honor societies: The Academy of Arts and Sciences (1994), the American Philosophical Society (2006), and the National Academy of Sciences (2008). 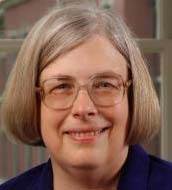 In addition, she has served as President of the American Political Science Association, and the Social Science History Association.